On November 2nd, 2018, WWE and its superstars traveled to King Saud University Stadium in Riyadh, Saudi Arabia for a pay-per-view/WWE Network special entitled CROWN JEWEL. From the controversial events that took place prior to the event that caused much debate as to whether or not the event should even take place, to the controversial return of Hulk Hogan, to the controversial match booking and use of the term “best in the world”… The key word is controversial and NOT the good kind. Listen as host Sean H. breaks down the countless mistakes made by professional wrestling’s top company as WWE’s return to Saudi Arabia fell far short of the effort put forth at April’s Greatest Royal Rumble, and not only did it fall short of that event, but in #HWWeekly’s opinion, it fell short of EVERY PAY-PER-VIEW in the modern era, and possibly EVER! Also, did WWE give the female superstars of WWE the proper amount of promotion for the most important event in the history of women’s wrestling WWE Evolution? **SPOILER ALERT**, NO! Did WWE do the wrong thing by sandwiching EVOLUTION in between SUPER SHOWDOWN and CROWN JEWEL? **SPOILER ALERT**, YES! The bottom lines are…1.) The women of WWE, who put on an AMAZING show at Evolution, deserved better promotion. 2.) 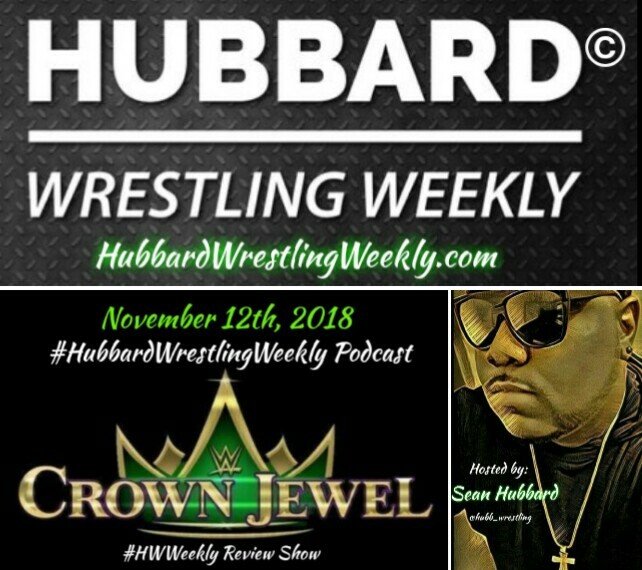 Crown Jewel was a show that fell short in every way imaginable, and right here on the #HubbardWrestlingWeekly podcast, I sound off and let the world know what they already should…. The #1 company in the history of wrestling DROPPED THE BALL! Click play. You’re welcome.